When will I get my order? : It takes 3-6 days to create and process your order. 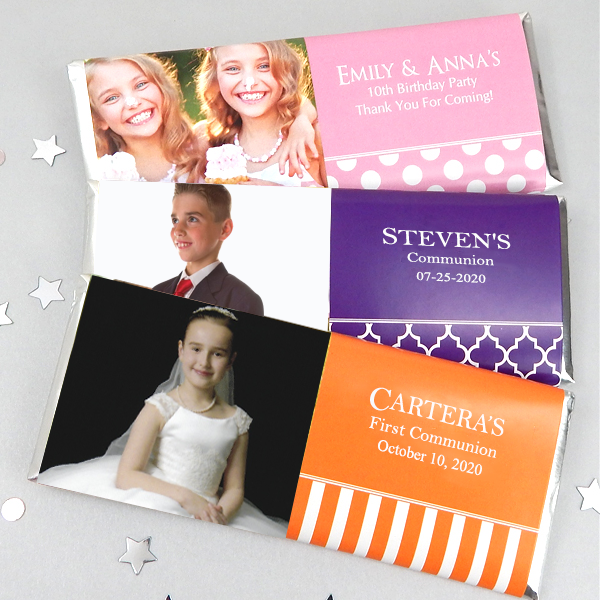 Add ship time from PA.
A sweet treat for a sweet occasion, our Hershey's Chocolate bar is wrapped in silver foil and covered in a photo wrapper complete with a custom message. You can select an informal photo or one with the communicant wearing a gown or suit. Your photo files must be 25 MB or smaller at 300dpi. However, email us your photo and we will let you know if it will work - your photo MUST have a horizontal orientation, vertical orientation photos will not work if they do not have sufficient area on all sides of the photo subject to fit properly. Please do not crop your photos too close to the subject as we need area all around the subject in the photo to make it fit into the image area on our end. 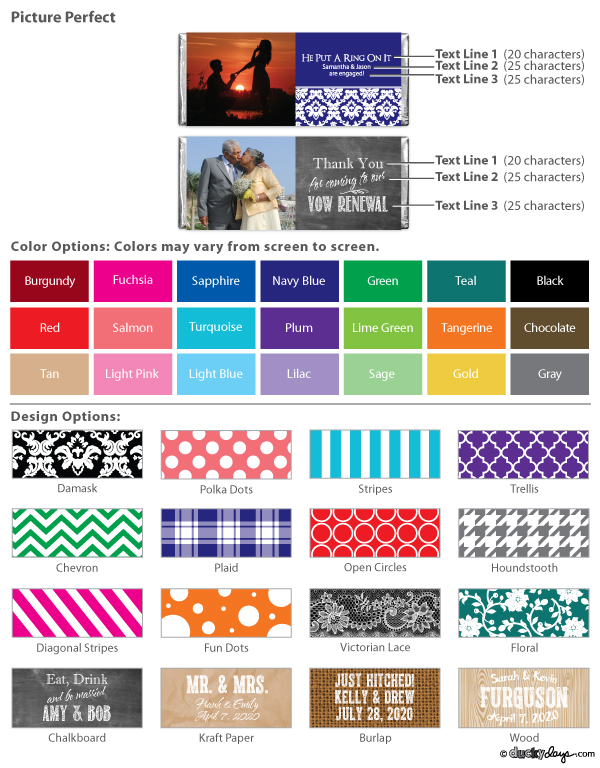 We do not custom crop backgrounds, people or other images out of your photos. They are produced with your photo AS IS.